This soft-spoken lady commands a presence and I have the utmost respect for how she has run her restaurant in Deira since 1999. Far from the typical hands-off owner who snips through the ribbon during a fancy launch party and then never returns to the restaurant, Madham is very intimately connected to the kitchen. The rice selection, the spice mixes, the portion sizes – they are all determined under her watchful eye. I’ve often walked into the restaurant at the end of the month and seen her signing cheques with the manager – paperwork that could have easily been driven to her home but that she chooses to complete in her restaurant, her brainchild. I fell so deeply in love with the food at her restaurant a few years ago that the tents, peppery lentil soup and massive platters of spiced meat and rice have become a mainstay of my Middle Eastern food trails. While Madham’s eloquent daughter explains how her mother trained the chef, I realize that even the restaurant food is no match for what she has prepared for us today. As the two ladies unveil the Tahtah Malleh, rice layered with preserved fish, a buttery spiced fragrance escapes from under the lid. Mum and I instinctively pause in mid-conversation, inhale deeply, and let the intoxicating aroma seize our senses. Any vestige of restraint hurriedly submits its resignation letter and pelts out the door. Madham had soaked meaty strips of house-made preserved kingfish (canaad) and tuna (ghbab) to extract the salt, and then cooked them with preserved black limes, tomatoes, onions, anise, coriander, turmeric, chili pepper and baharat mix (Arabic spice blend, usually containing cinnamon, cumin, black pepper, etc.) I go back for seconds of the malleh, lingering by the dish for some extra bits of tuna, all the while praying fervently that restraint will rethink its decision and come back to fill the vacancy. The outsides of the fish are rubbed with spices, the insides reddish like lamb, umami like soy sauce, fibrous and smoky like beef jerky. The rugged flavours of the fish are pronounced against the tender buttery backdrop of basmati rice, each grain fully elongated and a few clumped together with patches of dry tomato-onion gravy. Such a simple, yet inexplicably powerful dish. One that speaks to the resourcefulness of the Bedouins, to the spice and rice trade with India, to the magical hand of a lady that can make preserved fish taste like gold. By the time I reach home, I am craving the dish all over again. Thankfully, we had not refused the doggie bag that Madham had placed in our car – turns out, she has packed the entire meal and sent it home with us. My face must have given the vacancy away. I fall asleep thinking of how important it is – even more so now than never – to not just have another mall of the world, but a better forum for cultural connection. 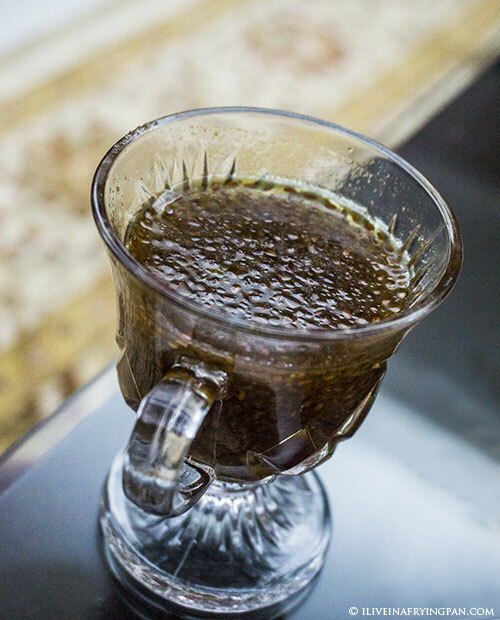 Not another place where you can buy a Zara dress, but a place where people can appreciate the breadth of local culinary and herbal craft, like the warm, bitter, jelly-like habbat-al hamra (garden cress seeds) that Madham had brewed with a drop of butter into a wholesome wintery drink for us. Where would you learn that this drink has been traditionally consumed by new mothers to regain their strength and rebuild iron, or fed to babies to help them sleep when the mother is unable to lactate properly? 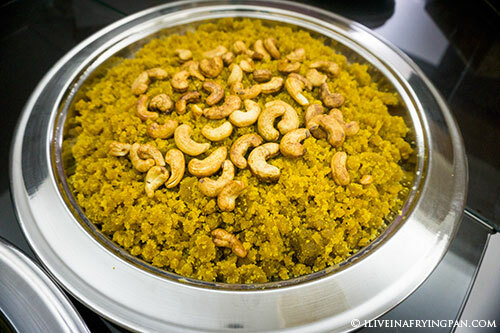 Where could you gain culinary insights from an Emirati mother over her homemade crumbly khabees, with the heady buttered aroma of toasted flour, saffron and sugar? Where could you enjoy a platter of Tahtah Malleh, only to drive home smelling flowery and exotic because the ladies of the house had perfumed you on your way out? 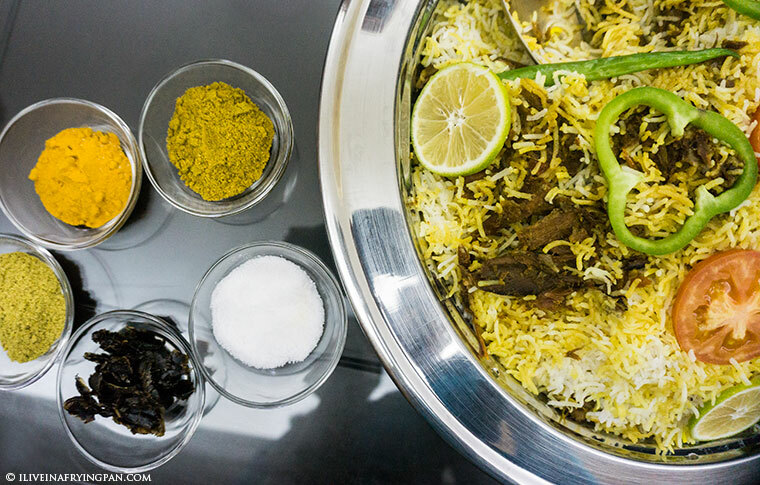 The answer is not as evasive as it may have been five years ago, even though home-cooked Emirati meals are still a rarity. With more Emirati restaurant openings (Al Fanar is opening its second location in Jumeirah, building on its success in Festival City; others include Al Mallas, Jawareh), the cultural meals served at the Sheikh Mohammed Center of Cultural Understanding, chefs playing with Emirati ingredients like chami and regag (Chef Allan at Creekside Dubai) and stores selling artisanal Emirati products like Malleh Gourmet, there is simply no excuse to not know your malleh from your machboos. The government and a few individuals in the private sector are making a worthwhile push to spread Emirati culinary awareness, with the most imminent event featuring Emirati culinary culture being right around the corner – the Dubai World Hospitality Championships. I hope to see you there. ← Older: Help keep the new Taiwanese ‘Honey Ice Cream Dessert Shop’ alive. Very interesting article…any chance you could let an Abu Dhabite know the address of this restaurant? ?…thatah malleh? I would’ve loved to hug “Madham” and congratulate her on doing such a great job on Tawasol. Best lentil soup evarrrrr and mandi in Dubai! Maybe even ask if she could share the secret for great mandi. We’ve tried Yemeni mandi in NYC but it just doesn’t compare. I am often taunted to try to recreate at home, but definitely intimidated by it. Le sigh. Interesting article as usual, cooking with love and d passion is always different , I feel like going there today for lunch. I can’t wait to see Madham. 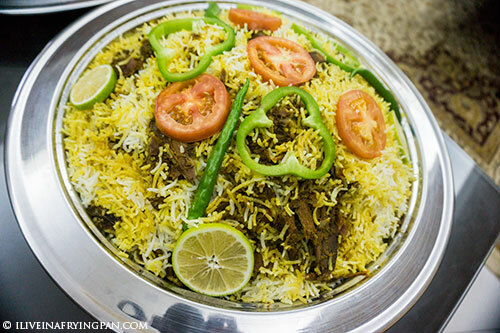 Can you take me into a few Emirati home kitchens please?